This month the Active Tollerton Project is focusing on opportunities for children and young people to be active. Through our Parish Plan and Neighbourhood Plan consultations you told us how we could improve the play provision for children and young people. Since then we’ve upgraded the tarmac games area and improved access to the playground and in February we’ll be increasing the range and variety of play equipment for different aged children. Last year we applied for grant funding from the County Council and other funders and we were successful in securing funding towards Active Tollerton from WREN. WREN awards grants for community projects from funds donated through the Landfill Communities Fund . WREN have agreed funding for improvements to the Open Space so that we can offer more play equipment to ‘junior school’ or Key Stage 2 aged children. Installation of this is currently scheduled to commence in February. This will include new equipment for ‘adventurous’ and ‘interactive’ play, and will include features for children to climb, slide, balance, chase and play. 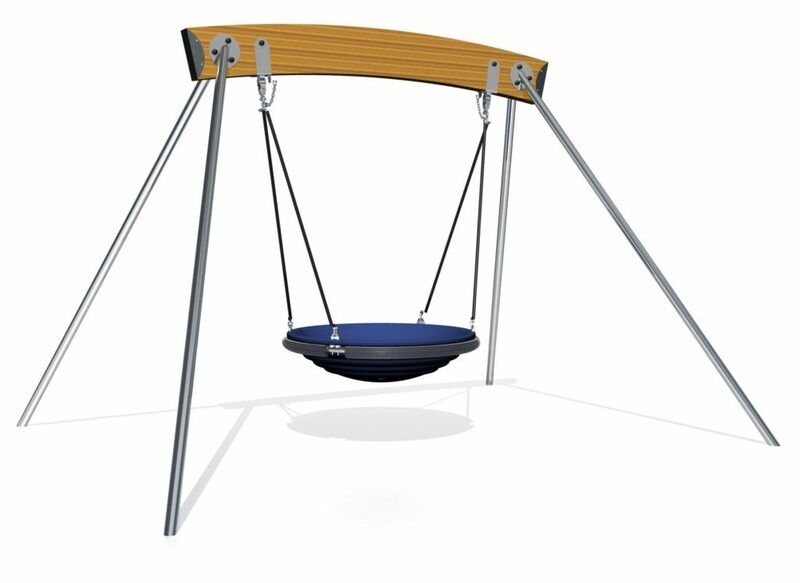 The equipment also includes a ‘pod swing’ for older children or groups of children swinging together. The Parish Council is working with well regarded local companies Proludic and Jupiter Play to deliver the improvements. Please note there may be some disruption and possibly temporary closures to some play equipment, the changing rooms and the car park whilst this work is undertaken but we aim to keep this to a minimum. Updates and more details will be placed on the Parish Council website .